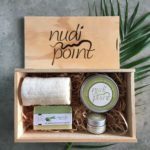 Each year it comes around like clockwork and each year many of us struggle with finding the perfect Mother’s Day gifts! What do you give to a Mum who has everything? After all, she has the best kid in the whole wide world – you! But seriously, it’s hard work to find unique, useful and wanted Mother’s Day gifts each year. Until now, that is. I’ve put together a list of gifts from our Mother’s Day Collection your Mum will love you for. Are you ready? Here we go …. Gift Hamper – name me a Mum who doesn’t love a hamper full of goodies just for her! From divine cheeses to gourmet goodies and sumptuous pampering products, we have them all and can deliver them to your Mum too! 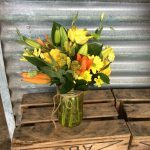 Fresh Flowers – there is absolutely nothing in this world that shows you care more than beautiful fresh flowers! This Mother’s Day, give Mum a handcrafted bouquet or floral arrangement. 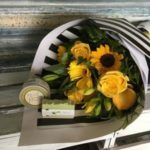 We can custom design one just for her, using her favourite flowers or a selection from our Kaitaia florist shop. Chocolates – what Mum doesn’t love chocolate… I know I do and I bet your Mum does too. Now you have no reason not to give the best Mother’s Day gifts this year! Come on, what are you waiting for? Get in touch with us today and we’ll take care of everything for you.